Types of Single phase motors. The starting torque is high. Hence, it is used for applications with heavy connected loads such as pumps, conveyors, compressors, etc. 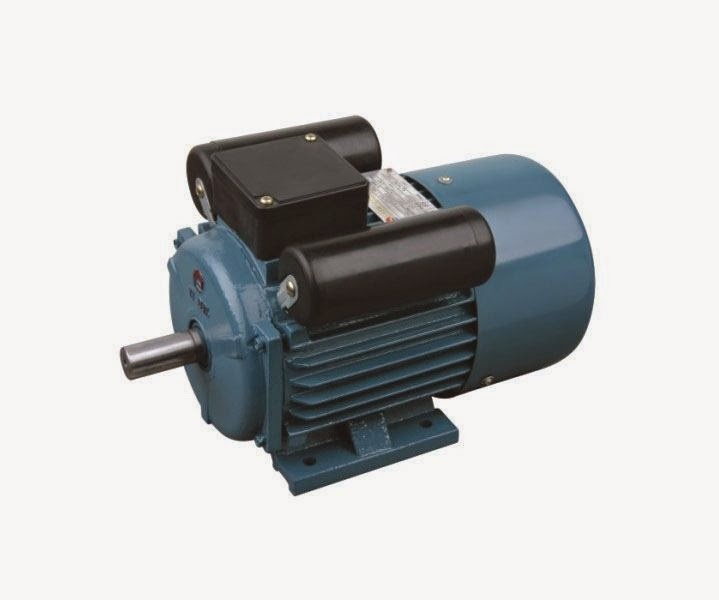 It is the most widely used of all single phase motors. It is used for motor sizes up to 6 kW. The capacitor is in line during starting The capacitor is disconnected by a centrifugal switch as the motor approaches the rated speed. This motor is also a capacitor based motor. However, here there are two capacitors instead of one. One capacitor is in line during start of the motor while the other capacitor comes in line when the motor is running. The Shaded pole motor works on the principle of a shading ring which is fitted to the stator poles. This ring varies the reactance and creates two fields. This motor is simple in construction. It is used for fractional kW applications such as in hair dryers, table fans, etc. It has low starting torque and lower power factor.